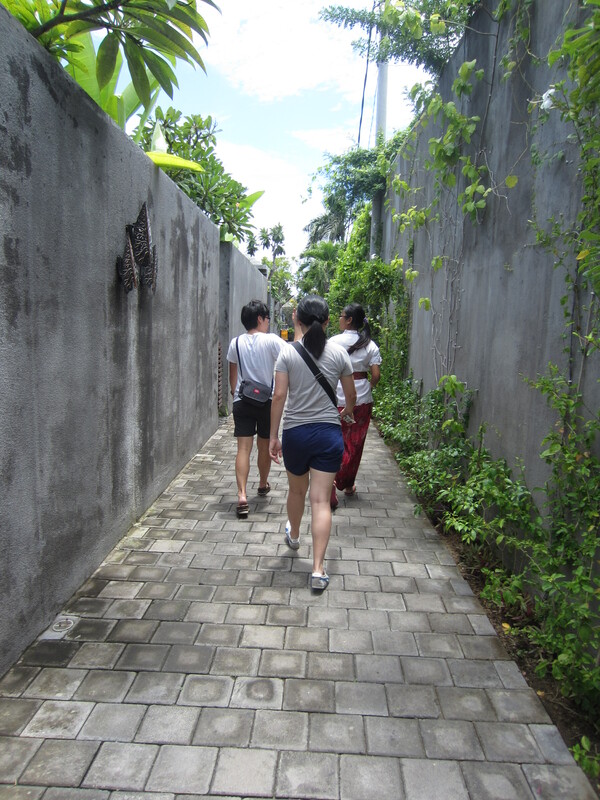 For this trip, I am so glad to be travelling with three friends whom have been to Bali for at least once. And for the first time, I have no itinerary nor detailed plans with me- just going with the flow and plan on the day itself and before. As our flight was pretty earlier, we reached the villa at about 11am which was not ready for check-in. 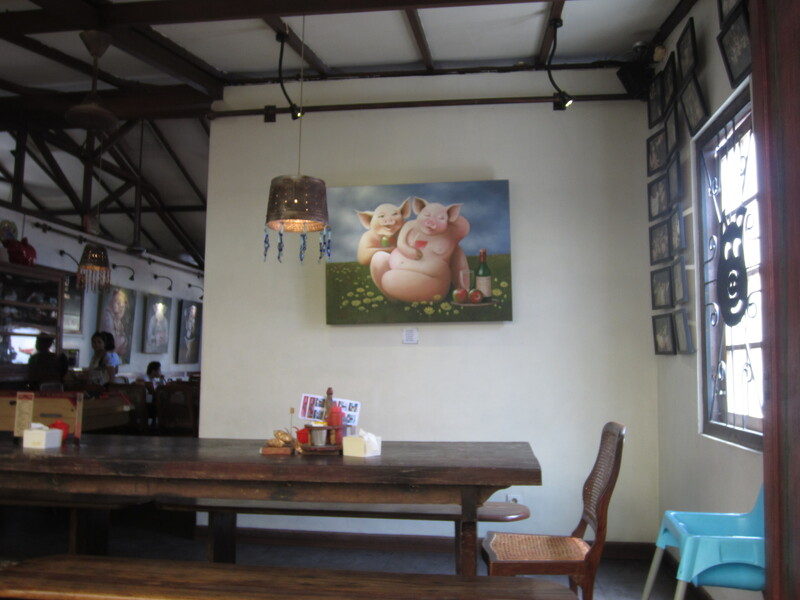 So before I share about the villa I stayed in, let me share with you the place which serves really awesome pork ribs! As you can see from how the shop decoration is, you can roughly guess its specialty. 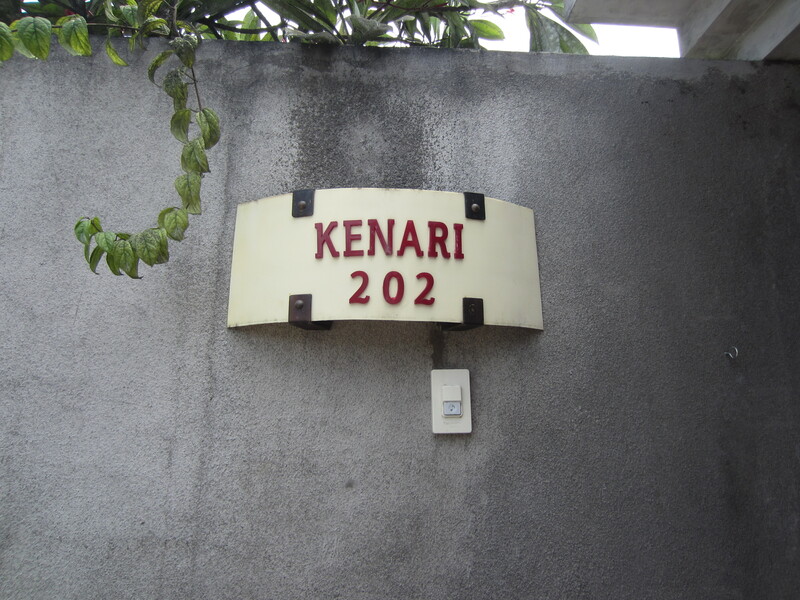 From what I understand from my friend, it is usually fully packed at night. When we head out for lunch, it was pretty okay. 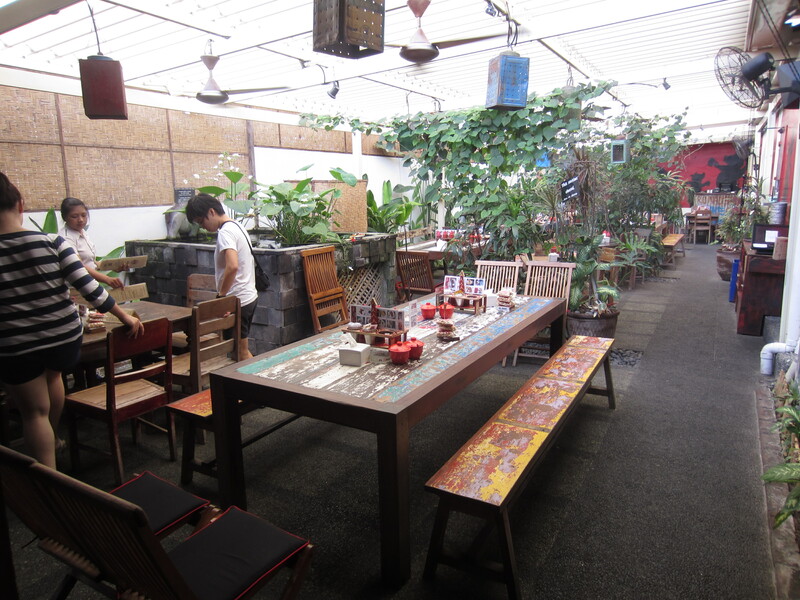 Not just indoor, they even have an outdoor seating space! The food was really yummy & awesome too! 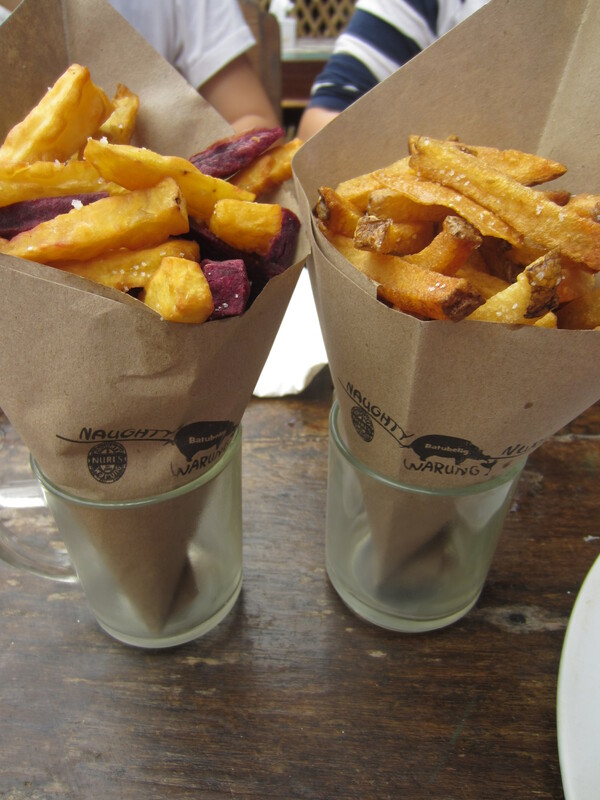 Order sweet potato and potato fries which you can tell that it was freshly cut and fried. 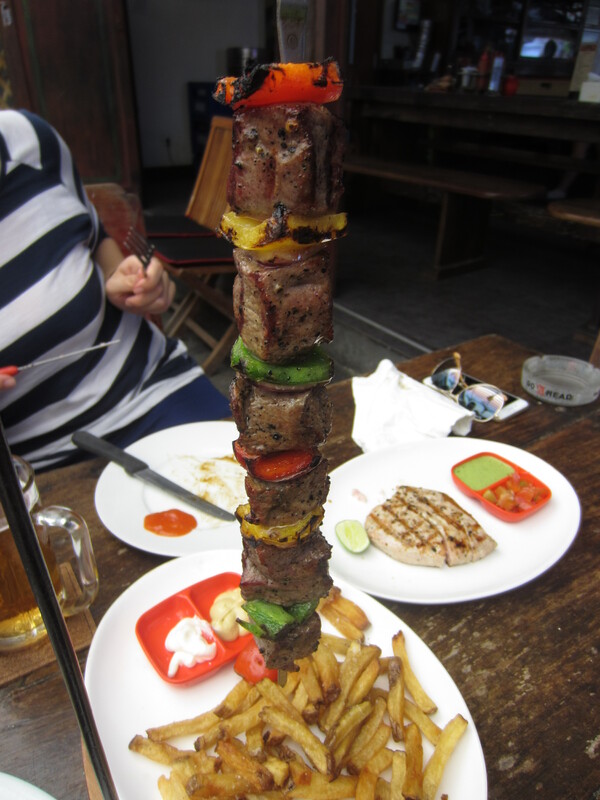 The beef kebab was really tender. Looking at the pictures makes me miss the food over there. Must order would be the BBQ ribs & the tuna fish! 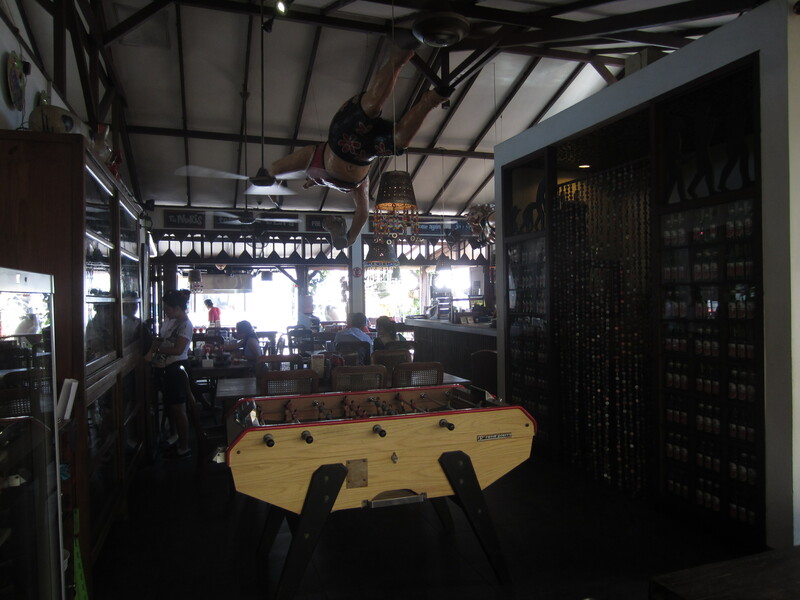 For the above that we ordered, including a tower of Bintang (their local beer), it costs us INR$587,700 (SGD$60). 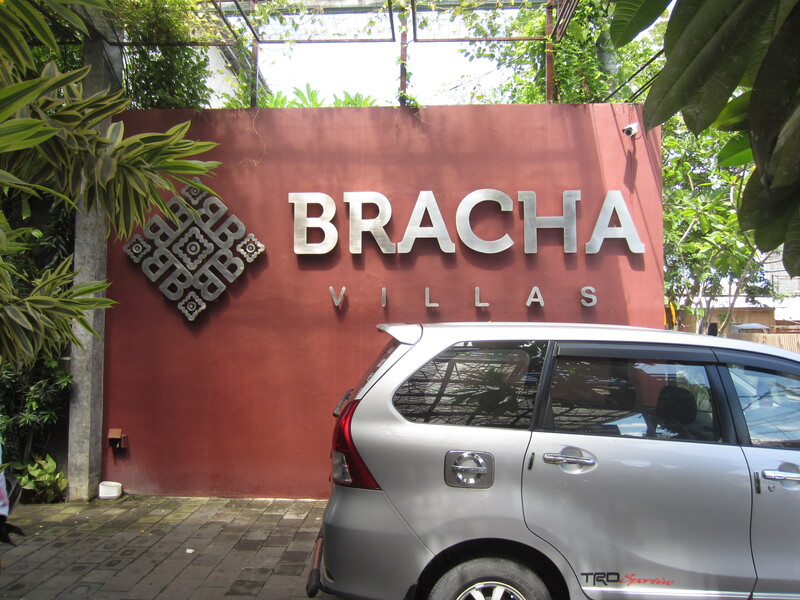 After lunch, we headed back to the villa, hoping that it’s ready for check-in (as we were still slightly early).We booked our villa via agoda- Bracha Villa. All in all, we paid about $830 for 3 nights. It includes a one-way airport transfer and free breakfast every morning. We reached the villa pretty early, at about 11am. Even though we aren’t able to check it then and there, we decided to have lunch first before heading back to the villa (which the villa staff said we can come back in 2 hours time) and indeed it was ready by then. Walking towards our Villa which is at the end. 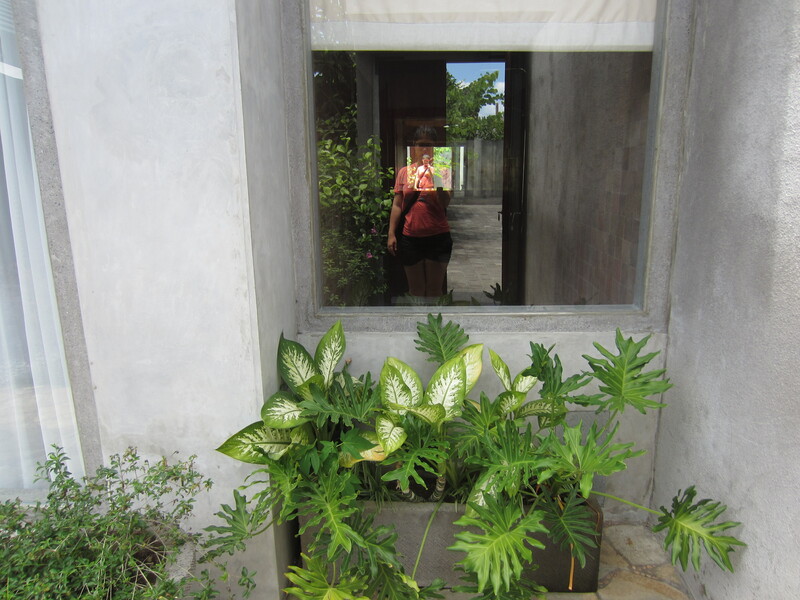 The villa that we stayed. 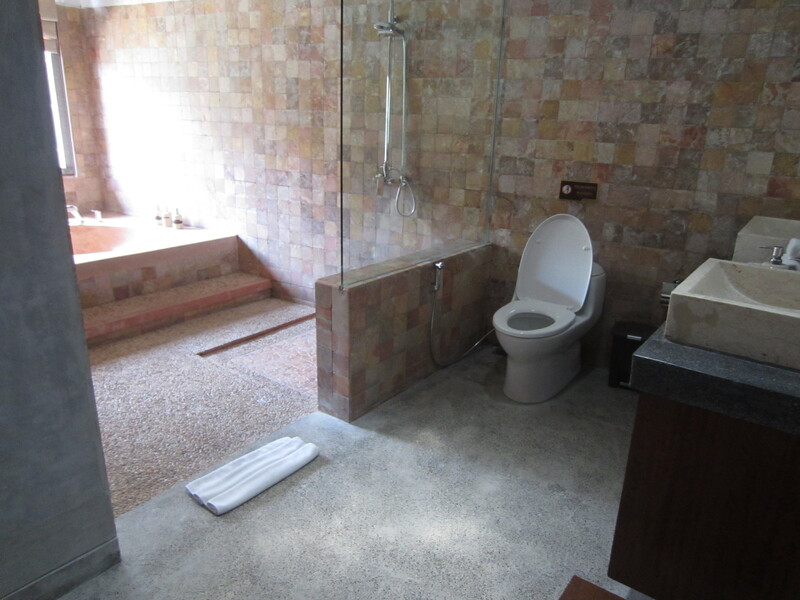 (in clockwise)- The pool; living room; bedroom and washroom. 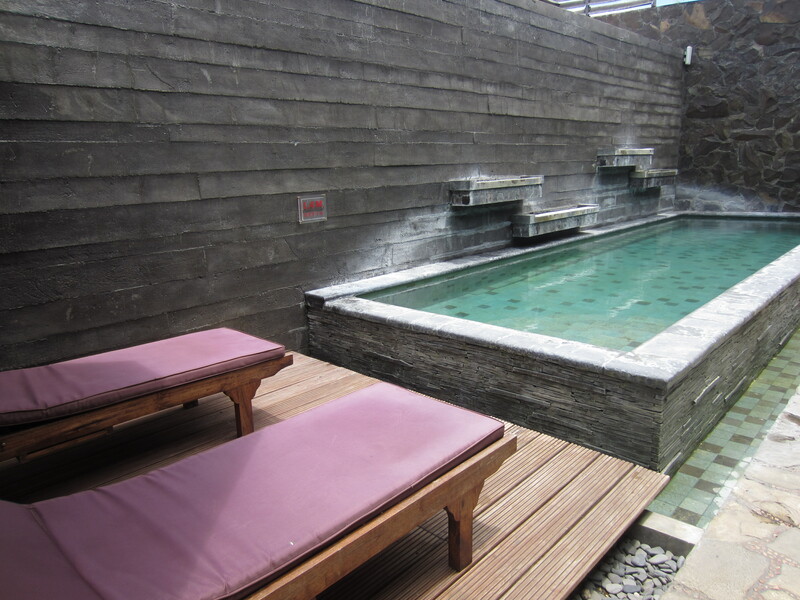 And what we did for the day was just chilling by the pool, catching a nap and called in the massage service. Honestly, my recommendation is not to call the masseur in. 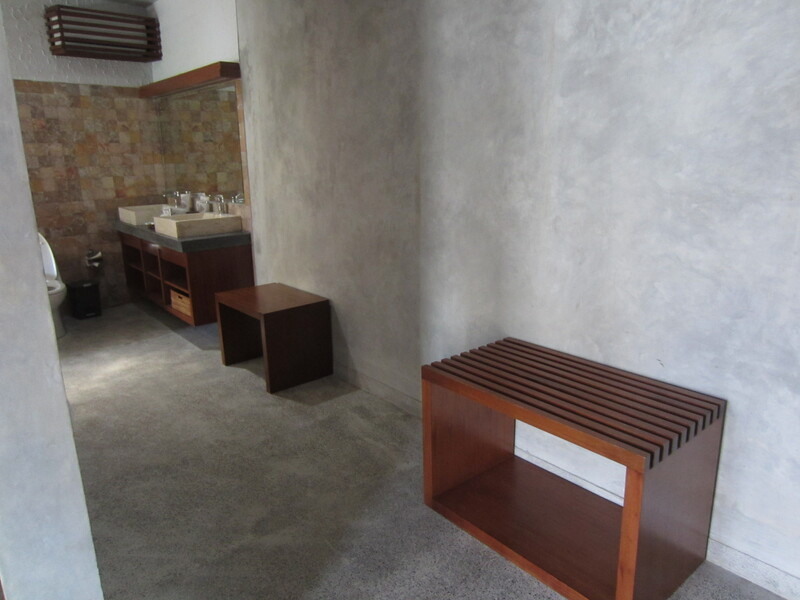 The bed is too soft for massage and the massage wasn’t good as compared to those that you can find along your way which is 50% lower in price. 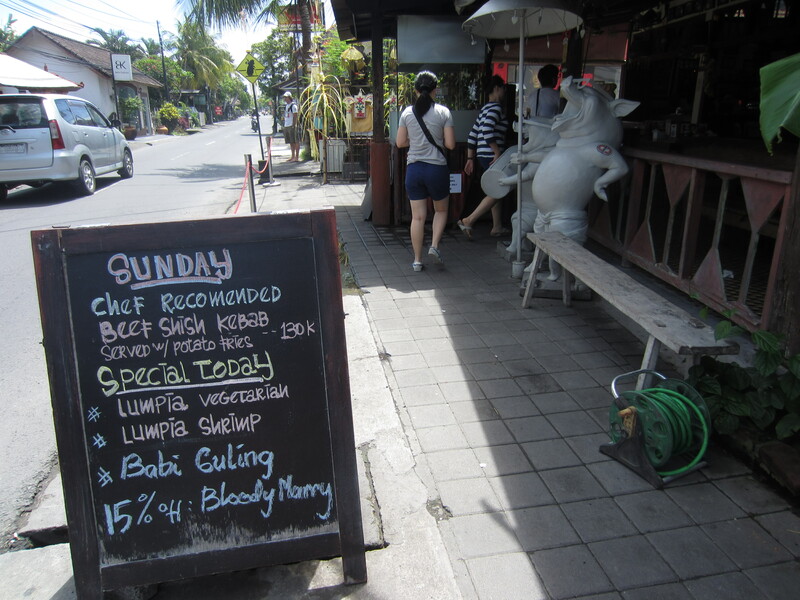 After a good nap, we headed for local Indonesia food, recommended by the friends whom have visited Bali a couple of times! Ranked number #1, must order list would be this Nasi Campur Special which is kind of like our Singapore’s mixed rice but for Nasi Campur the ‘side dishes’ has already been set. 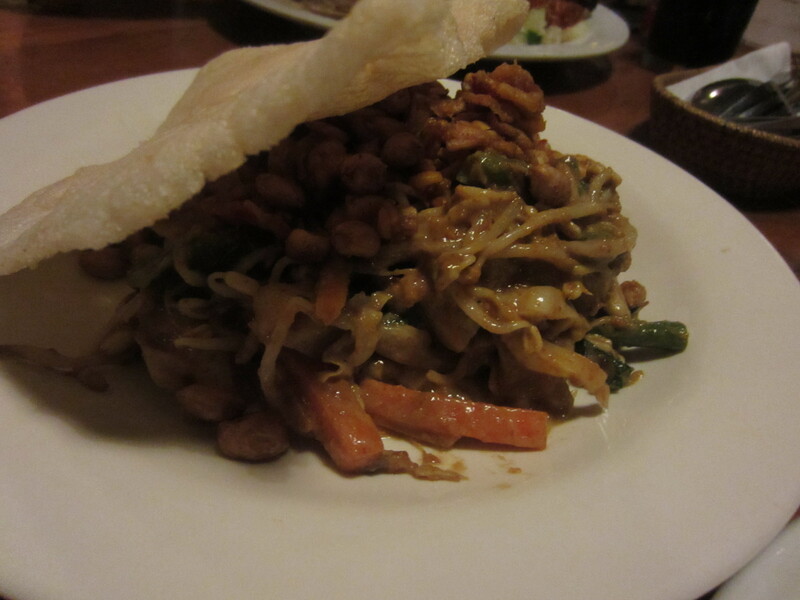 Ranked #2 is the Gado Gado! According to my friends, they said that the Indonesian Gado Gado tastes different. Not too sure how the Singapore version taste like but I really liked the Gado Gado flavor and texture. 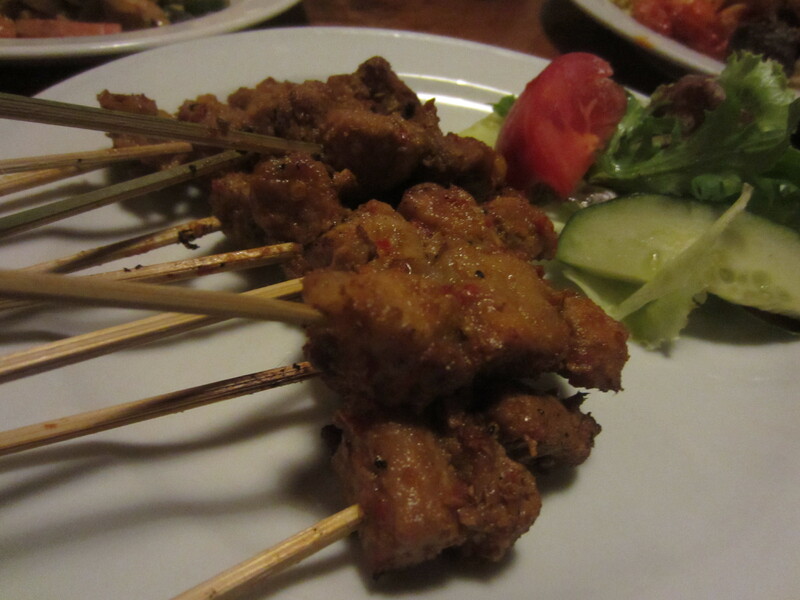 And the last we ordered was pork satay- this too me was pretty normal. 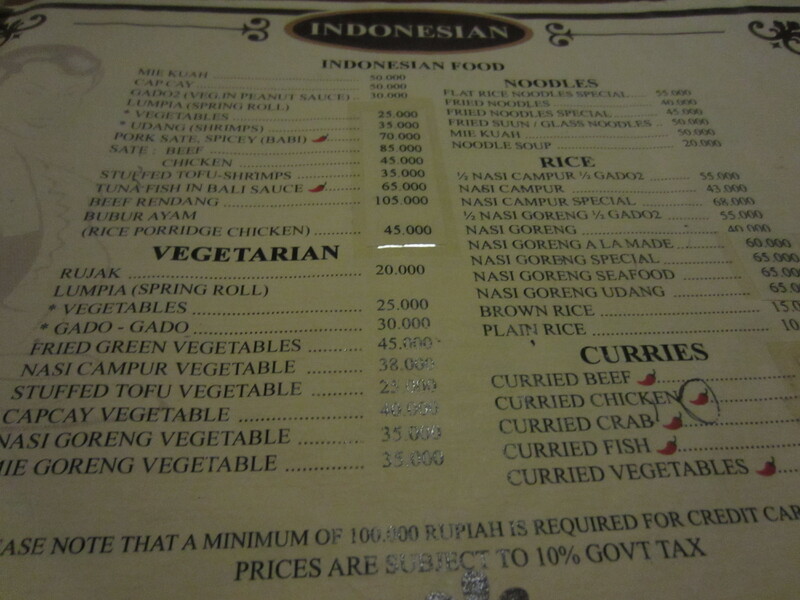 So for 4 Nasi, 1 Gado Gado, 1 set of pork satay and 4 soft drinks cost us about IDR$490,000 (SGD$50)! Pretty decent and yummy food. 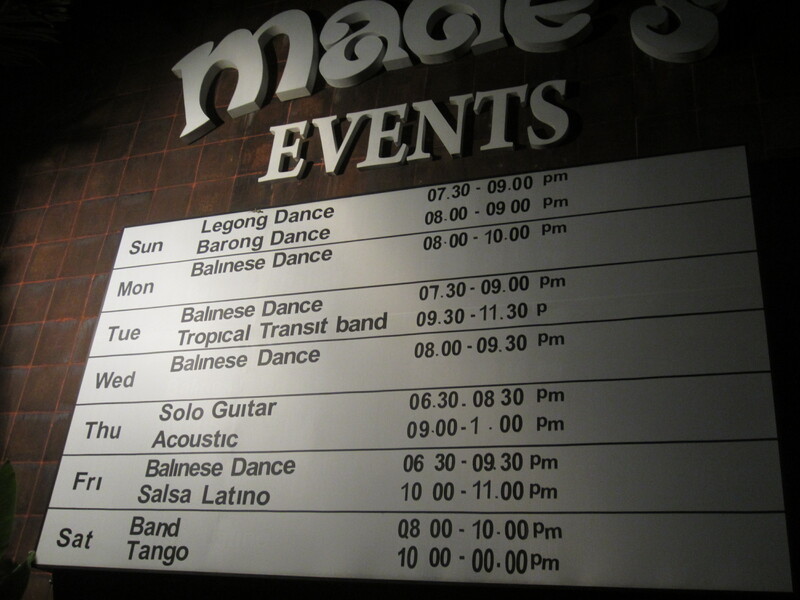 Oh ya, they always have performance for different days. 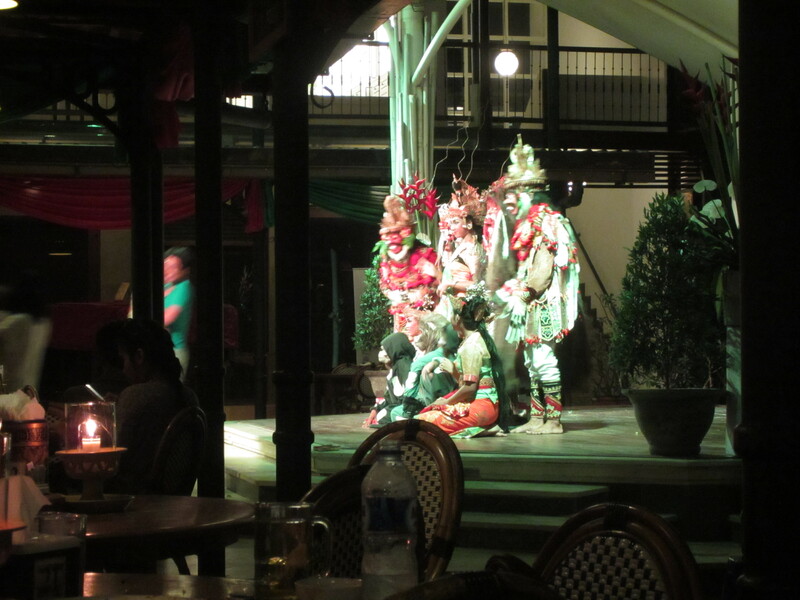 When we were there, it was the Balinese Dance- it was my first time watching it & it was pretty cool. 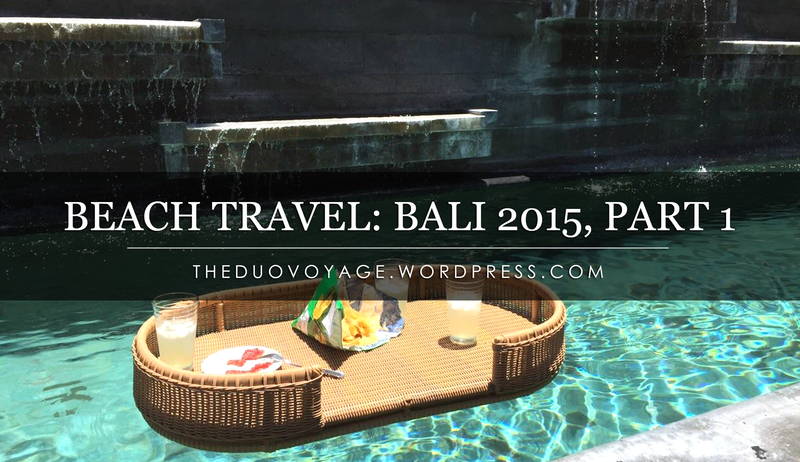 And, that pretty much sums up my Bali Trip Part I. Hopefully it does helps you in a way or another. ← Happy Lunar New Year 2015!